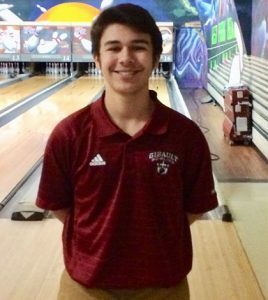 The Republic-Times Athletes of the Week are high school bowlers Ryan O’Guin from Waterloo High School and Josh Hugger of Gibault Catholic High School. 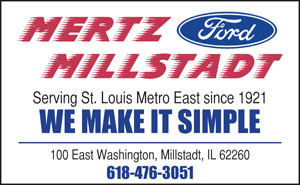 Both advanced as individuals out of Monday’s IHSA Alton Sectional to qualify for this weekend’s state tournament at St. Clair Bowl in O’Fallon. 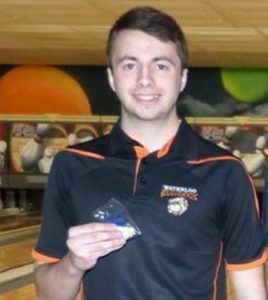 O’Guin, who was the individual champion of the Columbia Regional last week, bowled a 1,283 series in Alton. Hugger, who bowled a 300 game earlier this season, finished with a 1,279 series.